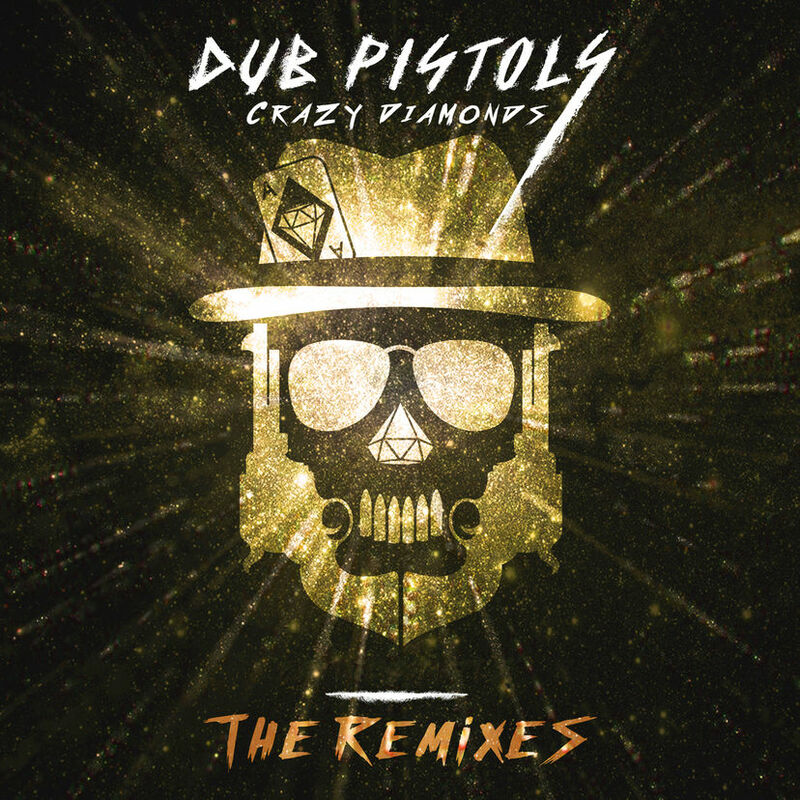 The third installment of the Crazy Diamonds ‘The Remixes’ series is here, featuring 5 brand new rehashes of ‘Boom’ courtesy of Mutantbreakz, SKGs Dub Alliance, Suro and the Dub Pistols themselves. CLICK HERE to listen and buy now! The Dub Pistols are very excited to announce their collaboration with organic, ethical merchandise clothing line THTC. A brand new T-Shirt design, available in both men’s and womens sizes is available to pre-order now. CLICK HERE and head to the store to check it out. 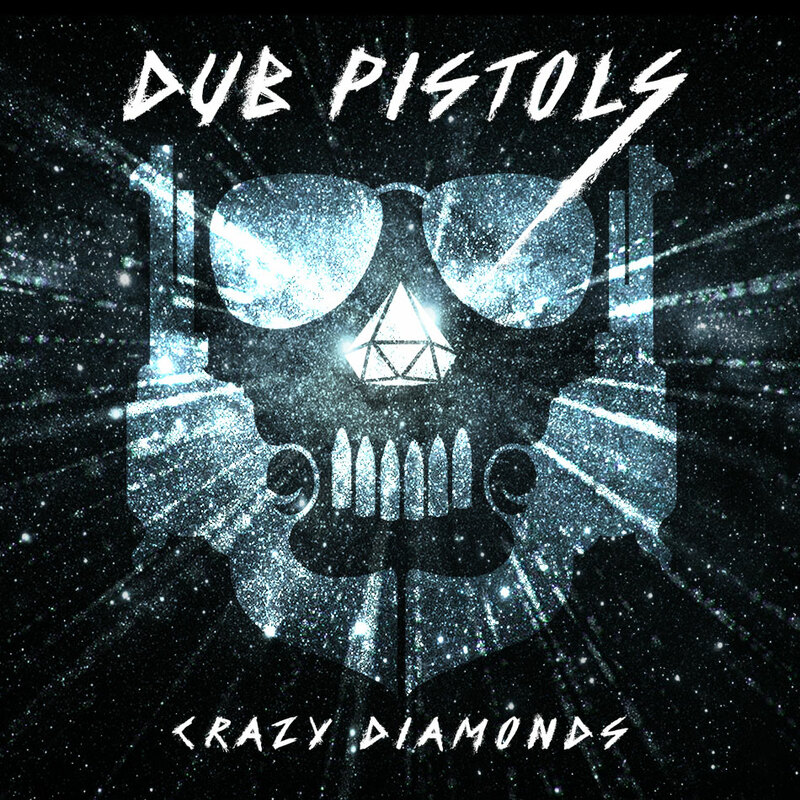 That’s right, the Dub Pistols are returning with their seventh studio album ‘Crazy Diamonds’ and it’s available to pre-order now! You can be one of the very first to get your hands on the album, released on 13th October via Sunday Best, which finds the band at their uncontrollable, bass-driven best. A rampant mix of dub, reggae, ska, punk, breaks, beats and drum ‘n’ bass, ‘Crazy Diamonds’ is a full-on dub-quaking extravaganza, built for big fields and summer sound systems. It also happens to feature some of the biggest names in the game including Dancehall dons Beenie Man and Cutty Ranks, reggae singer Earl Sixteen, hip-hop act Too Many T’s, seminal MCs Navigator and the Ragga Twins, and long-time collaborator Lindy Layton. 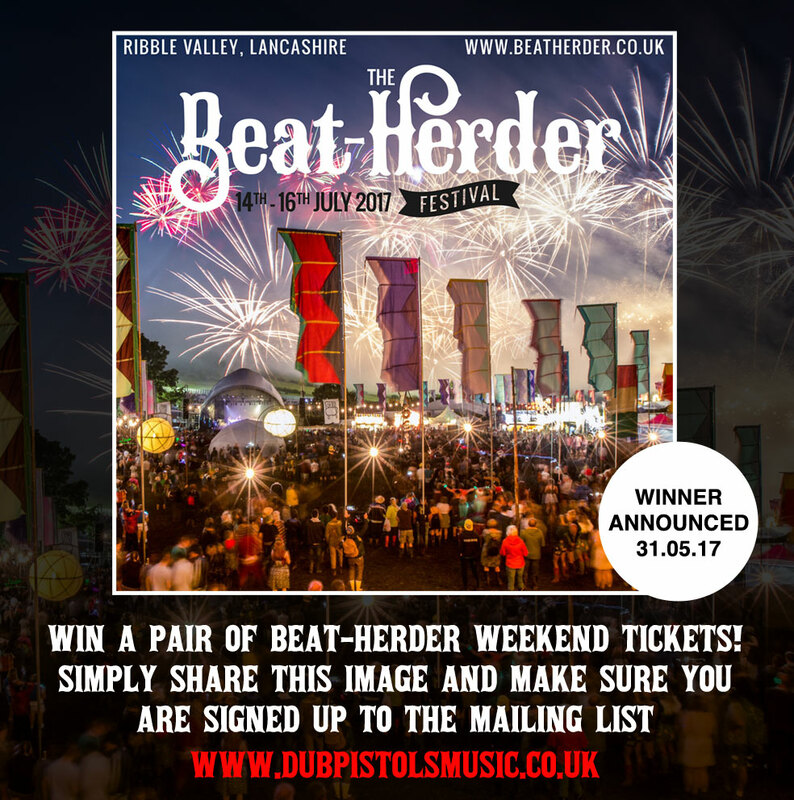 Fancy going to see the Dub Pistols and a whole host of other top acts at The Beat-Herder Festival this summer? Well here’s your chance to bag yourself a pair of weekend tickets in our latest competition. Simply sign up to the mailing list using the form on the right of this website (if you’ve already signed up then that’s fine too) and then head over to https://www.facebook.com/dub.pistols/ and share the post that announces the competition. We’ll cross reference the shares and subscribers (so make sure you do both and the shared post is set to public so we can see it) and will announce the winner on 31/05/17. How does the man do it?! 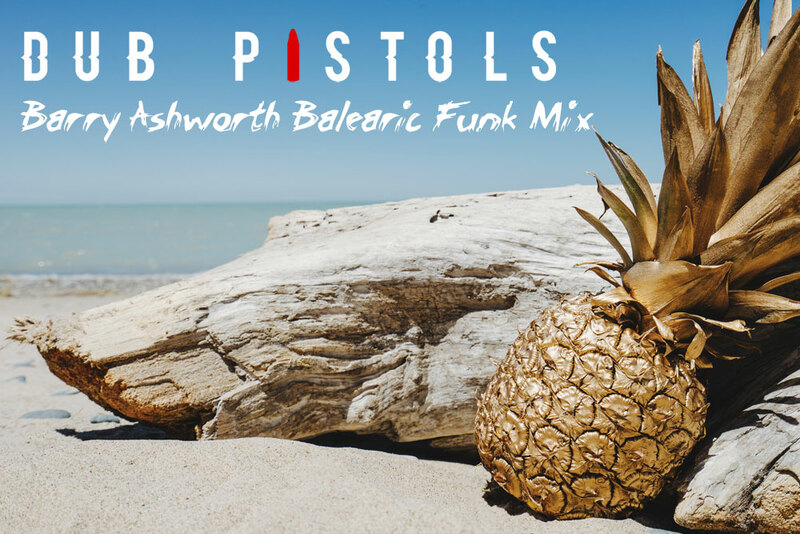 In between non-stop touring, London Calling radio shows and partying HARD, Dub Pistols’ Barry Ashworth has somehow found the time to put together and record a brand new, balearic funk mix for you to download absolutely free! Get set for Dub Pistols’ very special 20th Anniversary Tour. Tickets available from SeeTickets.com now, with more dates to be added in the coming weeks. Henry Lewis caught up with Dub Pistol’s legendary party starter Barry Ashworth for skiddle.com, to find out how he keeps the energy high as his group celebrate their 20th anniversary.